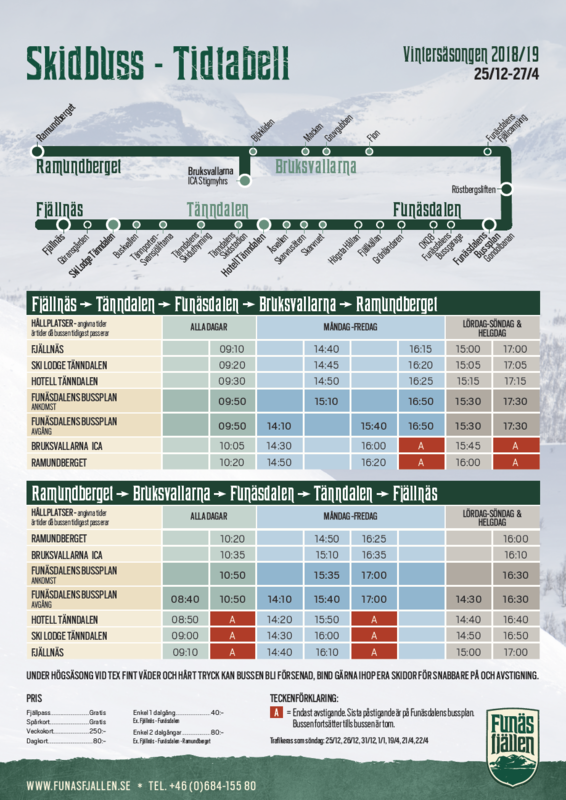 The mountain pass applies to alpine skiing in the entire Funäsfjällen - in Ramundberget, Tänndalen, Tänndalsvallen, Funäsdalsberget, Tännäskröket and Kappruet. With the mountain pass you also acess to free ski bus. Infant not aged 7 years with helmets go freely through lap bars. Lost pass is replaced with the remaining period against the present receipt, new Axess card is charged with 55 sek. All ski passes except parental passes are personal. Regulations according to SLAO's and KO's agreements. Axess cards are required for all ski passes, new cards cost 55 sek. The price list applies even if all lifts and slopes are not open. The prices include 6% VAT. Sales and driving rules according to SLAO's and KO's agreements Reservation for price changes and printing errors.